You shouldn’t have to postpone your trips throughout Long Beach, Tustin, and Fullerton, or your adventures beyond Riverside and Glendale if your INFINITI model needs a simple service like an oil change. In fact, a simple service like this should be performed quickly, which is why we offer Express Service at Cerritos INFINITI! When you’re cruising the area in your stylish INFINITI model, nothing could be better. However, all vehicles require some important services in order to continue lasting and performing efficiently throughout the years. 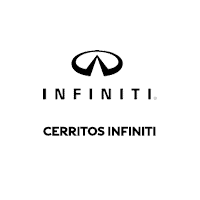 But at Cerritos INFINITI, we’re here to minimize the amount of time your vehicle is in our shop, so it can spend more time out on the road! Using genuine parts and fluids, your vehicle will get the service it needs to perform at its best. Having your vehicle inspected periodically is important because it’s a way of detecting any possible automotive issues early on, so they can be corrected and avoided. That’s why with our INFINITI Express Service, we offer a free multi-point inspection. Our diagnostic tools will help us detect any issues while we’re changing your oil, rotating your tires, and replacing any old filters. By catching these issues early, you can rest easy knowing that when you’re out on the road, your INFINITI is in great shape and where it belongs. We don’t want you to have to wait too long to simply drive your car. While these services are necessary, we aim to have them performed as quickly, and as thoroughly as possible. All these important services can take time, but our skilled technicians are diligent and work quickly, so you and your vehicle can get back to your adventures on the road in no time. When it’s time to get these important services performed, you can simply come in—no appointment necessary. We’ll move your vehicle to one of the service bays in our state-of-the-art facility and get started right away, so you don’t have to wait too long to head out on the road. We’re proud to help drivers in Long Beach, Tustin, and Fullerton get the service their vehicle needs in a short span of time!